Are your Converse, otherwise known as Chuck Taylors, your favorite flats? Do you find, however, that they don’t give your feet a lot of support? 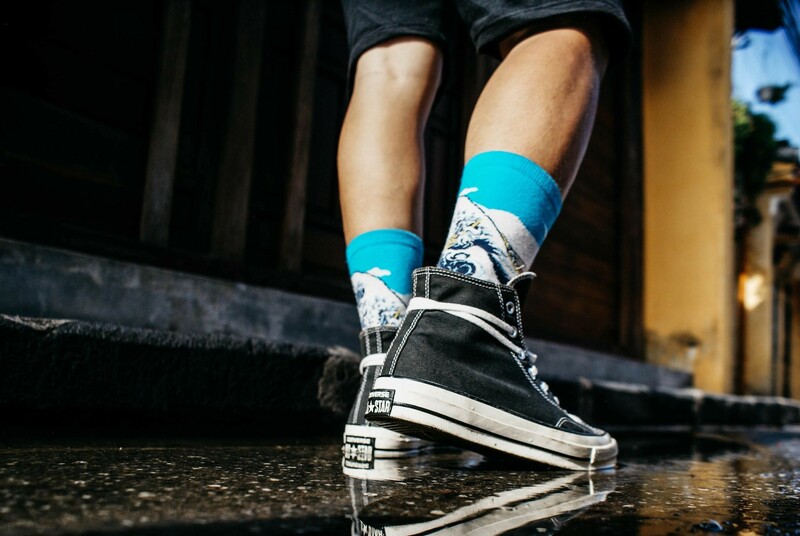 Maybe you need to find out which are the best insoles for Converse to up the comfort and support levels. Worn by millions of Americans since their introduction to the market in 1917, these iconic shoes are still popular today. They are known by various names including All-Stars, Chucks, Converse, and Chuck Taylors (after the basketball player who made them famous). 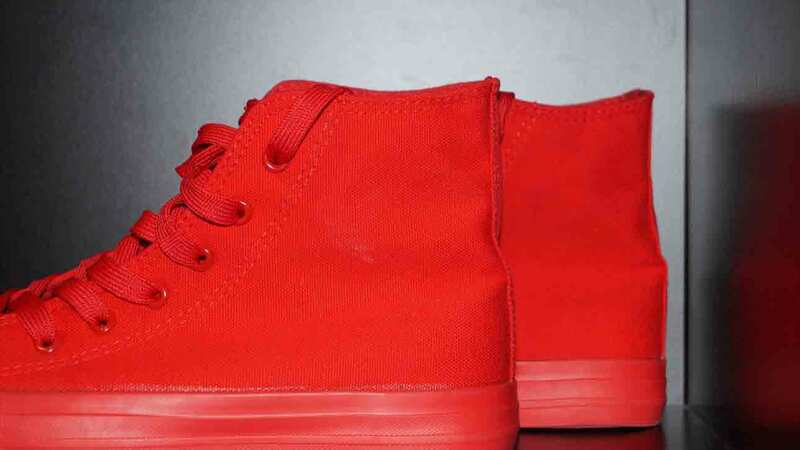 Made from canvas or leather with a rubber sole, they are worn by basketball players, rock stars, men, women, and kids. These shoes are comfortable but might lack foot support. 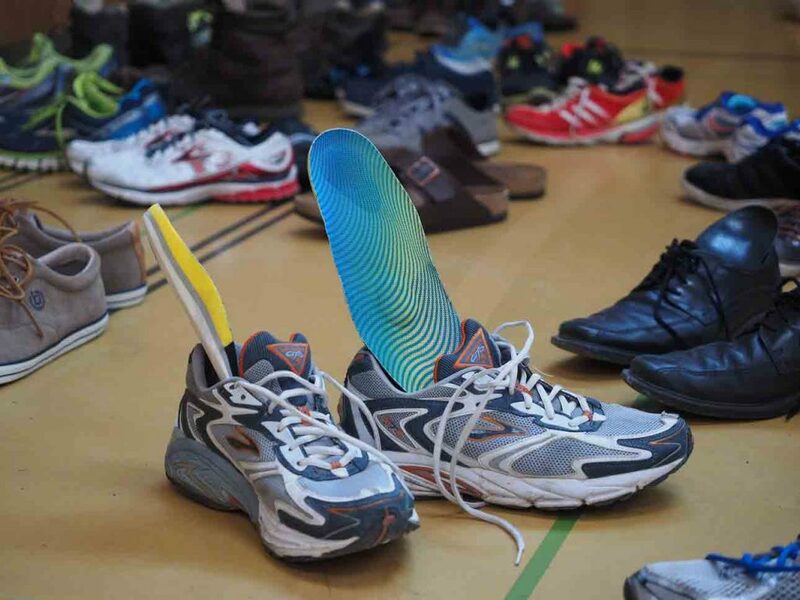 This is why insoles can be priceless—let’s delve in. This trim to fit insole is very thin and suitable for casual shoes like Converse. They are developed with a massaging gel technology to help relieve fatigue and keep your feet energized. They also come with a money back guarantee. These insoles come in a two-pack so you always have a pair ready to change out for cleaning. The terry cloth upper absorbs moisture from your feet while the latex bottom provides cushioning. They can be cleaned on a gentle cycle in the washing machine. Providing support for your arches and heels, these three-quarter length insoles are designed to support and stabilize your feet. They have slip-resistant ridges on the bottom and a microsuede top. Odor control is also built in. 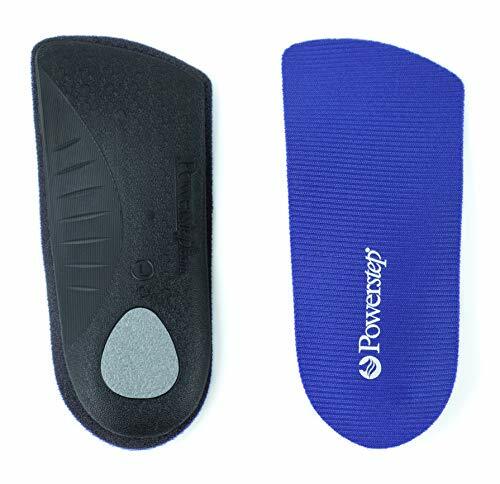 Powerstep brings us a three-quarter length insole suitable for any shoes. They have an antimicrobial upper and moderate cushioning. The ultra-thin design is flexible with a hard plastic to support arches and cradle your heel for stability. SEMI-RIGID ARCH SUPPORT: Arch support and heel cradle for increased support and stability in your shoes. MODERATE CUSHIONING: Variable Cushioning Technology provides targeted cushioning with a soft, supportive feel. ANTI-MICROBIAL TOP FABRIC: By reducing heat and friction, the top fabric leaves feet more comfortable, protected, and cool. 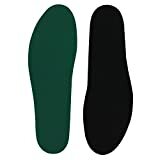 ULTRA THIN DESIGN: Flexible, hard plastic arch supports with a thin, tapered edge design fit comfortably in most shoes. MOVEABLE FROM SHOE TO SHOE: The 3/4 length shoe insert can fit on top of existing shoe insoles, while the non-slip pad at the heel holds the orthotic in place. This full-length insole from Spenco is designed to give comfort from your heels to your toes. Four-way stretch antimicrobial fabric helps prevent blisters and keep feet fresh. The cushioned layer is thin but will still help absorb impact and shock. Converse are my go-to shoes for the weekend. I can dress them up or dress them down and I know they will look good. The only set back can be that if I wear them all day my feet get a bit tired. Placing an insole in them helps keep my feet fresh and stops them getting so fatigued. Here are our top five picks of the best insoles for Chuck Taylors. 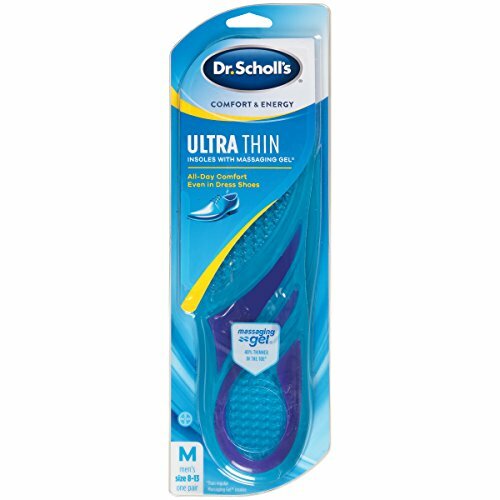 Dr. Scholl’s is a worldwide brand that has been producing insoles for over a hundred years. They produce a number of insoles designed to make your feet comfortable and reduce fatigue. These gel-filled insoles are super thin, making them a good choice for Converse. They come in two sizes, one for men and one for women. They are designed to fit shoes from sizes 8 through to 13 for men and 6 through to 10 for women. The insoles can be trimmed to fit by cutting along the corresponding outline on the bottom to your shoe size. They are 30 percent thinner at the toe area so your toes don’t feel cramped and their massaging gel technology provides comfort. They can also help reduce fatigue in the muscles in your legs. 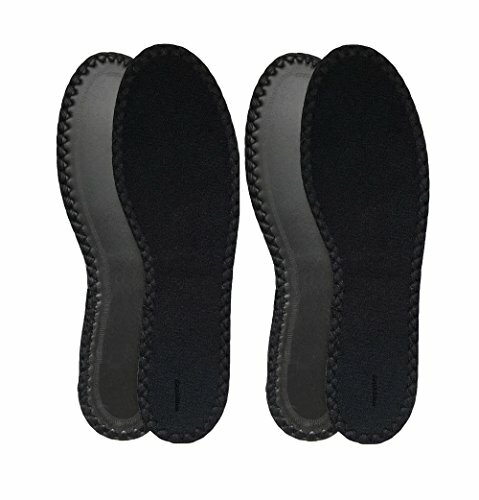 These insoles can also be moved to other shoes such as dress shoes and sneakers. There might not be enough support in the toe area for some people, though, and they don’t have any treatment for odor control. Suitable for men and women’s shoes. Some find that the support is insufficient in the toe area. This is a super thin gel-filled insole. Suitable for men and women, it can be trimmed to size. While these Converse insoles are machine washable, they do not have odor control. HappyStep is a relative newcomer to the footcare market, producing a range of products since 2011. These washable insoles come in a pack of two. This is great because you can change them out when you need to freshen a pair. They are available in 14 different sizes for men and women, 8 through to 13 for men and 5 through to 12 for women. Extremely thin and very lightweight, these insoles for Chuck Taylors have two layers. The upper layer is made from 100 percent terry cloth and is designed to absorb moisture from your feet. The lower latex layer pads your feet, providing comfort and cushioning. The layers are sewn together with a three-step zigzag stitch. This provides durability and prevents them from coming apart. On the downside, some find these insoles have a tendency to bunch up a little. There is also no odor control built in. A wide range of sizes for men and women. Absorbs moisture from your feet. Some find they bunch up under the foot. Might not suit a wider fitting shoe. 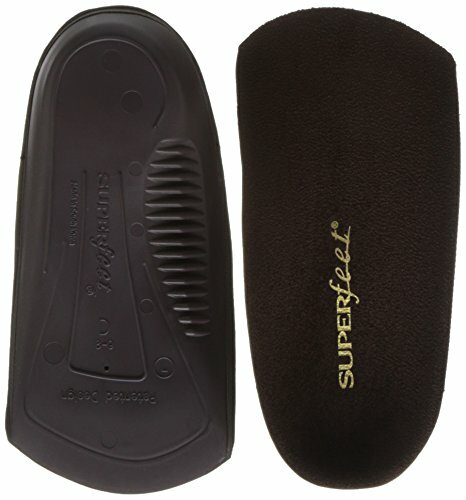 Superfeet has been producing quality insoles for more than 40 years. They are an employee-owned company. These are a three-quarter length insole for men’s shoes. There is also a women’s version available. Both are good Converse arch support inserts. They are designed to support and absorb impact from the heel through to the arch of the foot. You can get the men’s sizes from small to extra large, suitable for shoes from a size 5.5 through to 15. The ladies’ ones come in sizes small to large covering sizes from 4.5 to 12. This range should have you covered whether your feet are large or small. The top is a plush, soft microsuede and the bottom is made from high-density foam. These materials provide cushioning and comfort. There is a heel cup to hold your foot in the correct position and a stabilizer cap to give structure to the foam layer. Combined, these features can help reduce pain in the ankles and feet. They provide an intermediate level of support and are a mid profile. An all natural and organic odor control coating keeps feet fresh. On the downside, these insoles might take up more room in your shoes than you would like. The length might take some getting used to and they are quite rigid. This video shows you how to select the right size of Superfeet insoles. Heel cup holds your foot stable. Good Converse arch support inserts. Might slide forward in your Converse. Manufactured by a company with a lot of experience in foot care products, these inserts support your arches and heels. The microsuede uppers are soft and have natural odor control built in. Powerstep is another employee-owned company founded by a podiatrist who is also a runner and a foot surgeon. They have been producing over-the-counter orthotics for more than 30 years. These are a three-quarter length insole allowing more room in the toe section of your Converse. They do, however, have built-in support for your foot arch and a heel cradle to stabilize your foot. They aim to help with feet problems such as arch or heel pain, plantar fasciitis, sore or aching feet, and mild pronation. The arch support and heel cradle are semi-rigid. They have a moderate level of cushioning with the company’s variable cushioning technology (VCT). 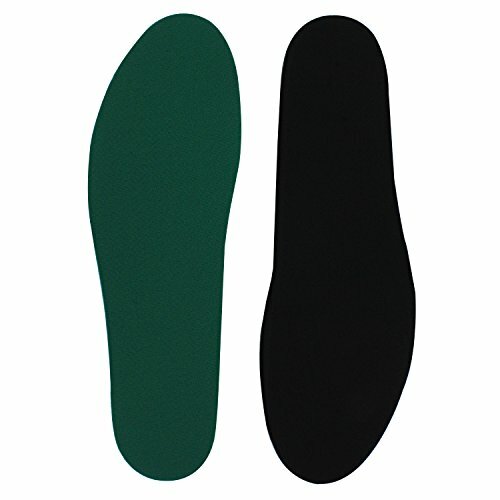 Specifically targeting certain areas gives these insoles a supportive soft feel. The upper fabric is anti-microbial and helps reduce heat and friction. A slim design with a tapered edge allows them to sit comfortably in shoes. There is a non-slip pad at the base of the heel to hold this orthotic in place. They are available in men’s sizes covering from a 4 through to 13.5 and ladies’ sizes from a 6 through to 15.5. It seems that these insoles do come up a little on the narrow side so might not be suitable for wider feet. Being three-quarter length, they might also move inside your shoes. Available in a range of sizes for men and women. Might be too narrow for some. Can move inside your Converse. This three-quarter length orthotic insert for Converse has a semi-rigid support for heels and arches. An antimicrobial treatment keeps odor away. Spenco footwear has been in business for over 50 years. Insoles have been a staple of their product line since day one. These full-length insoles for Chuck Taylors are thin, lightweight, and give an extra layer of flat cushioning for feet. They are designed for use in casual and athletic style shoes, making them good for Converse. The sizes available are women’s sizes 3 through to 12 and men’s sizes 6 through to 15. If slight adjustments are needed to the size they can be trimmed to fit. The uppers are made from Spenco’s proprietary material which has an antimicrobial treatment. The cushioning is lightweight and helps absorb shock to protect against impact. It also helps prevent blisters by reducing friction. These insoles can be hand-washed in warm water and then air dried. As there is no arch or heel support in these insoles, they can be used as a cushioning layer over or under other shaped orthotics. They could also be a good bet if you need to take up a little room if your Converse are a bit big. No arch or heel support. This full-length insole is good for providing extra cushioning in a flat shoe like Converse. It has odor control built in but does not have any arch or heel support. Why Do I Need Insoles for Chuck Taylors? While Converse are comfortable and casual, they don’t offer a lot of support for your feet. The soles are flat and the shank which gives support to the foot is flexible. So while they might look good, they could cause foot pain if worn for extended periods. Plantar Fasciitis: This is a condition where the tissues and tendons in the bottom of your become inflamed and painful. You can give your foot some extra support to prevent this by choosing insoles which have arch support and stabilize your heel. 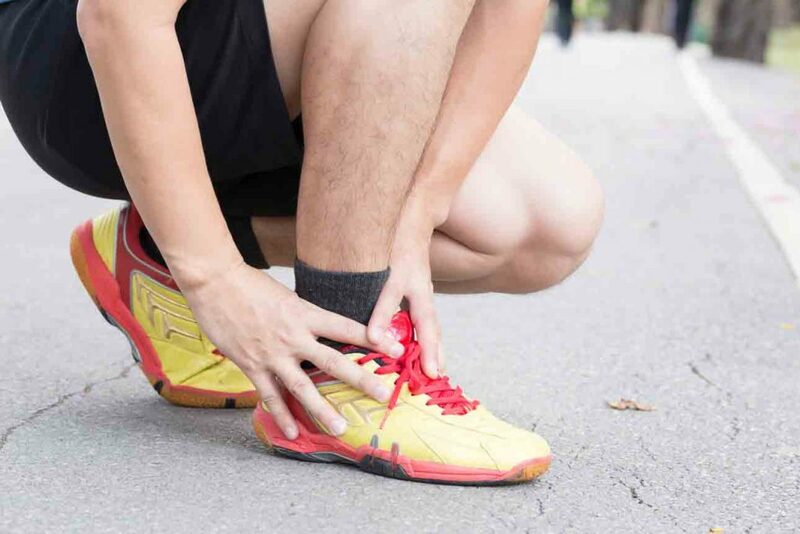 Achilles tendonitis: This painful condition affects the heel of your foot if shoes rub, causing the skin there to become thick and red. An insole that encases your lower heel can help stop this. Bunions: Officially known as Hallux Valgus, this is a deformity in the toe area. Cushioning the forefoot might help stop bunions forming. Metatarsalgia: This condition tends to be more associated with wearing high heels. Nevertheless, undue pressure on the ball of your foot can result in painful inflamed nerves behind the toes. Insoles that cushion your feet and relieve pressure can help. Fallen arches: As we get older the main tendon that supports our foot can become weakened causing arches to drop. This can have a knock-on effect causing some of the other conditions we have mentioned. Arch support in an insole can help hold your foot in the right position. Joint pain: Insufficient support in your feet can place stress on your legs, hips, and lower back leading to joint pain. Cushioned insoles with support to hold your foot in the right position can help reduce and alleviate joint pain. Blisters: If your Converse are a little on the large side, they can rub your feet and cause painful blisters. Use a cushioned insert to take up the slack so they fit better. What Features Should You Look for in Insoles for Converse? Many styles of Converse have removable insoles so you can replace them with your own orthotics. If not, as we have mentioned they are flat so you can always place an insole over the top of the existing ones as long as the shoes are not too small. It’s a good idea to take this into account when choosing your Converse. Arch support: The amount of support your arch needs can vary from person to person. This video shows you how to find out your arch type so you can decide what sort of support you need if any. Heel support: Stabilizing your heel will help keep your foot in your Converse and can alleviate and prevent Achilles Tendonitis. Cushioning: Cushioning is like placing shock absorbers below your feet. It will lessen the impact of standing or walking. Thickness: You don’t want an insole that takes up too much room, making your Converse tight. If they already fit you well then look for a slim design or a three-quarter insole. This will make sure your feet are still comfortable and your toes have room to move. Odor control: Antimicrobial treatments can prevent the build-up of odor-causing bacteria. How Often Should I Replace Insoles in My Converse? This really depends on the amount of wear they get. If they are your go-to shoes for every day then insoles might last about three months or more. If you only wear them occasionally, this could be longer. How Can I Clean My Insoles? Some insoles are machine washable and some hand wash only. To find out more, check out our full guide to cleaning your insoles. Can I Use Men’s or Women’s Insoles in My All Stars? This really depends on the insert. 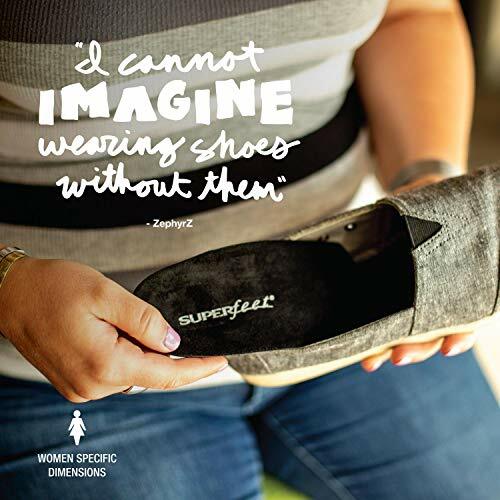 Some are designed to be trimmed to fit for men or women while others are more tailored to a woman’s slimmer foot. You can check the size by standing on the insole and making sure it encompasses your whole foot with nothing hanging over the edge. 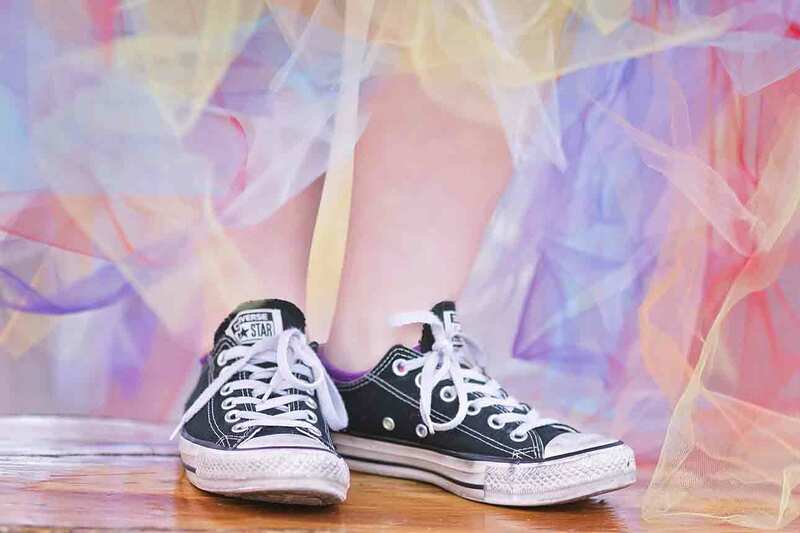 Converse, or Chuck Taylors, are a popular brand of functional, stylish fashion and sports footwear. You may find that you need the extra support or cushioning provided by insoles in these flat shoes. 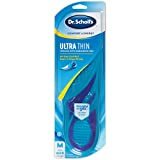 Of the items, we have reviewed our favorite is the Dr. Scholl’s ULTRA THIN Massaging Gel Insoles. It’s a full length gel filled insole providing cushioning for comfortable feet. There is a wide range of sizes and the company offer a money back guarantee. We hope you found our guide to the best insoles for Converse informative and useful. 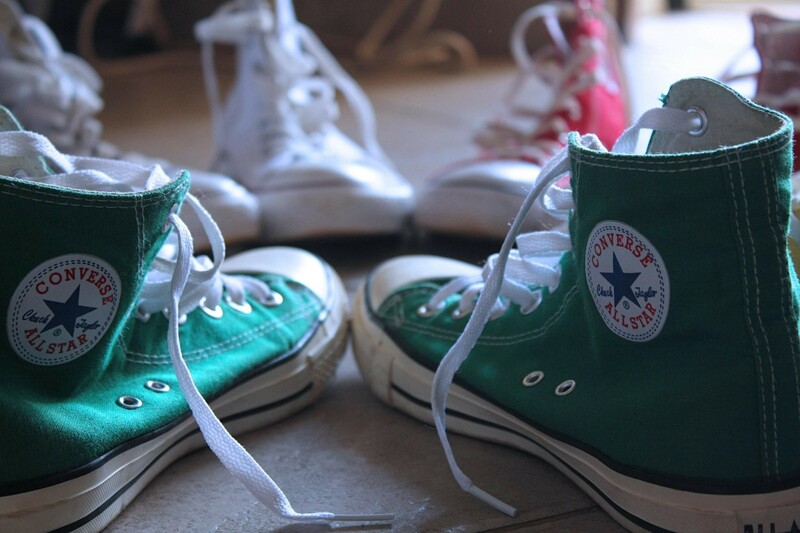 Whichever ones you choose your feet will be more comfortable in your Chucks. Please leave us a comment and don’t forget to share.